The digital medicine consists of small sensors that easily attach to consumers’ existing inhalers. The sensors are paired with a mobile app to automatically track medication use and provide personal feedback and insights that help individuals manage and cope with symptoms. SEVEN HILLS, Ohio–(BUSINESS WIRE)–Anthem Blue Cross and Blue Shield in Ohio (Anthem) today announced the rollout of an innovative new program, with Propeller Health’s collaboration, to help improve health outcomes for Ohio consumers enrolled in Anthem’s Medicare Advantage health plans who have chronic obstructive pulmonary disease (COPD). 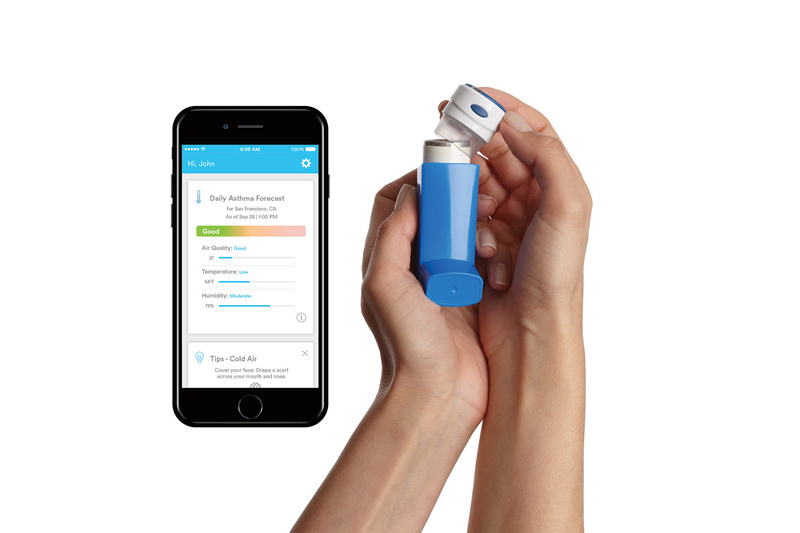 Propeller’s leading digital medicines for COPD and asthma management consists of small sensors that easily attach to consumers’ existing inhalers. The sensors are paired with a mobile app to automatically track medication use and provide personal feedback and insights that help individuals manage and cope with symptoms. Anthem’s care management team will also use Propeller’s online provider portal to help understand consumers’ progress in managing their COPD, providing more targeted, personalized care and treatment. Consumers need a history of at least one emergency room visit or hospitalization caused by COPD to be eligible for this program. Almost sixteen million Americans suffer from COPD and millions more are unaware they have the disease, according to the Centers for Disease Control and Prevention. Anthem’s care management team will begin working this summer with providers and eligible consumers to start enrollment. Anthem Blue Cross and Blue Shield is an HMO plan with a Medicare contract. Anthem Blue Cross and Blue Shield is an HMO DSNP plan with a Medicare contract and a contract with the Ohio Medicaid program. Anthem Blue Cross and Blue Shield is an LPPO plan with a Medicare contract. Enrollment in Anthem Blue Cross and Blue Shield depends on contract renewal. Anthem Blue Cross and Blue Shield is the trade name of Community Insurance Company, an independent licensee of the Blue Cross Blue Shield Association. ®ANTHEM is a registered trademark of Anthem Insurance Companies, Inc. The Blue Cross and Blue Shield names and symbols are registered marks of the Blue Cross Blue Shield Association. Additional information about Anthem Blue Cross and Blue Shield in Ohio is available at www.anthem.com. Also, follow us on Twitter at twitter.com/anthembcbs and on Facebook at www.facebook.com/AnthemBlueCrossBlueShield.